Doha, Qatar – February 6, 2019 – Northwestern University in Qatar (NU-Q) has appointed Rami Al-Badry as director of production and digital media services. Al-Badry left CNN in Washington DC to join NU-Q. He brings 15 years of experience as a production and operations manager in leading media organizations in the U.S., U.K., and Middle East. As director, he will oversee the department that manages NU-Q’s studios, advanced equipment, and state-of-the-art Newsroom so they are operational and ready for students, faculty, and staff. He and his staff also provide production support in classrooms and training for digital media projects. 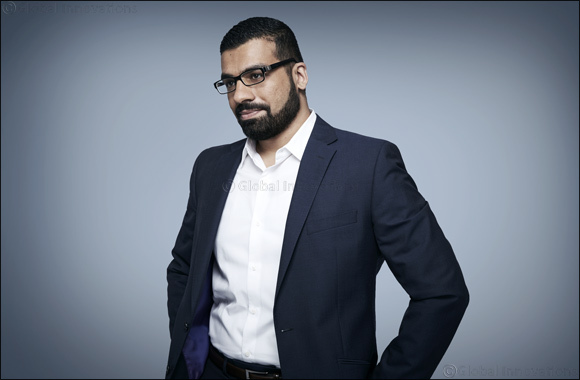 A widely experienced television and digital media professional, Al-Badry was most recently the field operations supervisor at CNN in Washington D.C. where he managed day-to-day field production. Previously, he worked at Middle East News Broadcasting Network (MBN) and the British Broadcasting Corporation (BBC). He has also done freelance work for ARTE, Reuters, CNN, the National Geographic, and Eurovision, among others. A graduate of the University of Baghdad with a B.Sc. and master’s in political science, Al-Badry completed several training courses at the BBC Academy on multi-platform field skills, satellite in broadcasting, and news assignment and location safety. His other advanced training includes satellite transmission and MCR skills with Siemens Media at the BBC Television Centre, and one on coping with hostile environments at TOR International. NU-Q has some of the most advanced facilities and technology in the world. Its building includes the largest sound-stage in the region; a projection theater, which features a 4K cinema and 7.1 Dolby surround sound; three production studios, each fitted out to serve a specific purpose; and a studio that has been designed to allow students to reproduce everyday sound effects that are added to film, video, and other multimedia projects; and a 4K mastering room, which is equipped to completely edit a digital cinema-quality film. It also has a Newsroom that features the most advanced technology in broadcast and production.